Video to enhance that Dream Kitchen, shows - modern decorative pull-out baskets. Kitchen Video - Modern Decorative Pull-Out Baskets. 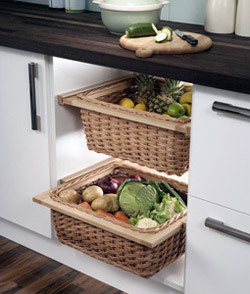 Kitchen Accessory - the Modern Decorative Pull-Out Baskets. • MBO500S 500mm Modern basket in Oak and Stainless Steel. 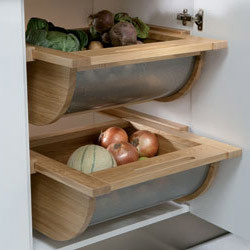 • MBO600S 600mm Modern basket in Oak and Stainless Steel. • MBM500S 500mm Modern basket in Beech and Stainless Steel. • MBM600S 600mm Modern basket in Beech and Stainless Steel. Please Note: These baskets are sold in pairs to fit 500mm and 600mm (external size) carcase widths. 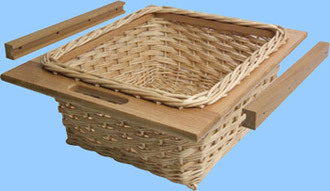 The traditional style baskets are suitable for cabinet widths 500 or 600mm with the side board thickness at 18/19mm. They have a 500mm depth side frame, 210 mm height, with a tolerance of ± 10 mm (excluding height of runners). Pre-drilled runners, are 449 mm length. A Set consists of two wicker baskets with the handle incorporated in the frame and 2 pairs of runners. 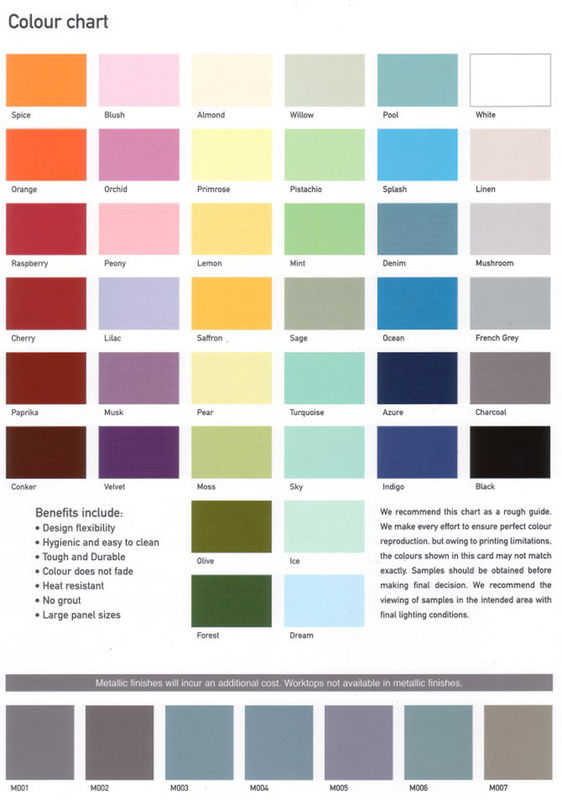 Please note: Due to the nature of these products, weave and colour may vary from product to product.